I am a passionate facilitator of creative experiences. Over the span of my twenty-seven year career as a ceramic artist I have had many opportunities to work and teach with community organizations, schools and people of all ages and abilities. 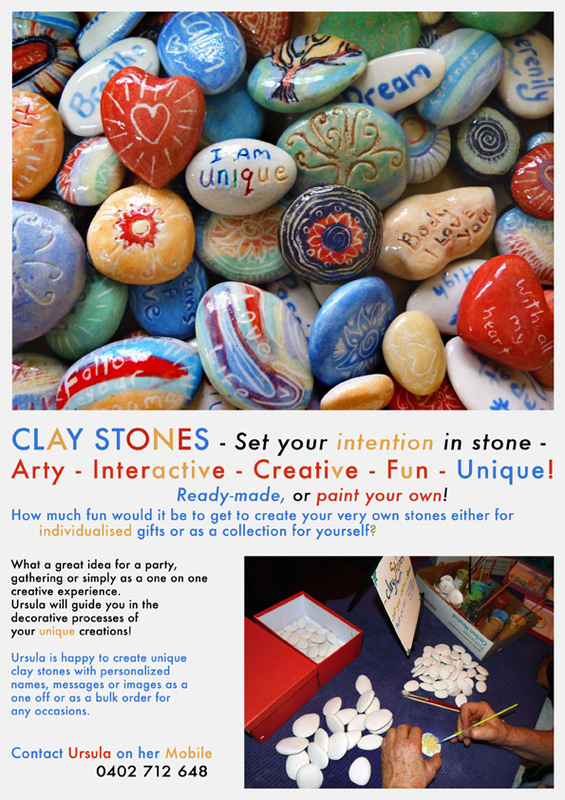 I have facilitated clay projects and workshops including the making of ceramic wall murals, creative play spaces, tiled seating areas through to hand building classes, family sessions, parties and exclusive individual one on one clay making classes. Please contact me to arrange a free consultation and to find out what is possible for you and your group. 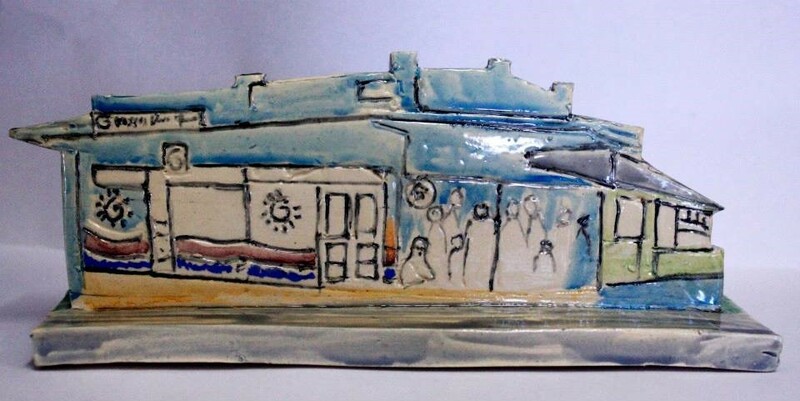 Prices vary depending on location, number of participants and scope, for example, glazing and firing. To discuss a workshop ideas simply email with what you have in mind and what you would like to achieve and we can take it from there. Recently I have developed a number of new workshops specifically designed to nourish the creative soul including making Goddesses, Ceremonial Plates and my latest Clay Stones: set your intentions in stone. For a number of years now I have been teaching clay/pottery hand building classes at Sussex Neighborhood House for children and adults of all abilities. A new class ‘Small Objects in Clay’ has been added as an evening class for adults. Each week we have been creating wonderful works and having a lot of fun doing it. Please contact Sussex Neighborhood House if you are interested in joining us. “I was so inspired by the Tree of Health that we made at Brighton University recently that I used it as an idea for a creative group I ran during my last placement at a medium secure hospital for women”. “Thank you for working with us on our mural to celebrate the Year of the Out Back. We thought it was exciting, imaginative and inspiring learning experience, making us aware of the colors and creatures of our beautiful land. We found your dedication and enthusiasm contagious. Look at what we achieved together”.